...to one of the most luxurious boutique reception centres in Australia. Adjacent to the Great Barrier Reef and close to the Cairns International Airport. Tranquil, exclusive, sublime! Behind the large iron gates, reached through a sweeping private driveway, the splendour of Whitfield House Luxury Retreat awaits you. Its unique location within the Mount Whitfield Conservation Park is unbelievable till actually seen. The Cairns Botanic Gardens Information Centre, winner of the prestigious 2011 Best New Building in Australia Award between $5-$10 million, forms the entrance to the Whitfield House Luxury Retreat. Arrive to an oasis of peace and luxury, specialising in wedding parties and small corporate groups. This is the venue for those who appreciate tranquility and absolute privacy. It is acknowledged as the premier wedding venue in this region. This venue offers the most sophisticated and desirable facilities available in this region. This superbly renovated Federation-style mansion incorporates high speed internet access and state of the art digital technology throughout the property. With polished floors from timber harvested from the surrounding rainforest seventy five years ago, a stunning art collection, magnificent antique furniture, crystal chandeliers, Persian rugs, beautiful gardens and poolside gazebo, the property is not to be missed. The lap pool is heated when necessary to ensure all-year round 24 degrees Celsius, surrounded by majestic trees in a number of stunning garden nooks. All this combines to achieve the desired Somerset Maugham effect. 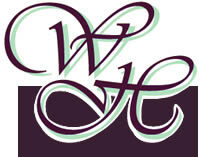 Whitfield House Luxury Retreat * Exclusive Wedding Venue * Perfect Tropical Experience * Exclusivity, Privacy, Elegance * We are here to pamper you.